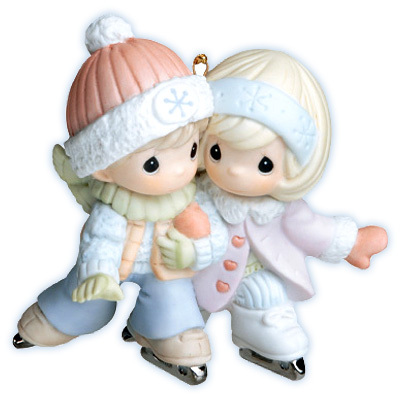 This sweet skating couple will glide straight into your heart and a prominent place on you holiday tree. Porcelain bisque ornament. Item# 710020 - Height 3"